Solutions for the processing of sheet metal and materials. Cutting, bending and automation. The company headquarters are located in Niederönz (Switzerland). Additional development and production locations are located in Gotha (Germany), in Italy (Province of Brescia and Province of Milan) and in China (Tianjin and Shenzhen). 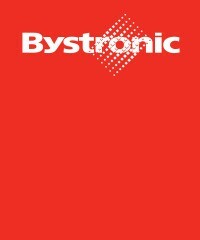 Bystronic is actively represented by its sales and service subsidiaries in more than 30 countries and has agents in numerous other countries.